How many people in your life have been or are currently affected by a type of cancer? Although not many people are aware of it, oral cancer is one of the most deadly cancers that face Americans today. In fact, about every hour, one American dies from a type of oral cancer. As one of the leading dental practices in Vancouver, we make it part of our job to look after Vancouver residents and provide them with the absolute best dental care. For us, this includes educating patients on the facts about oral cancer, and conducting oral cancer screenings as a part of dental check-ups. To show our support for those battling oral cancer, we are participating in the Bubble Challenge for Oral Cancer Awareness Month! 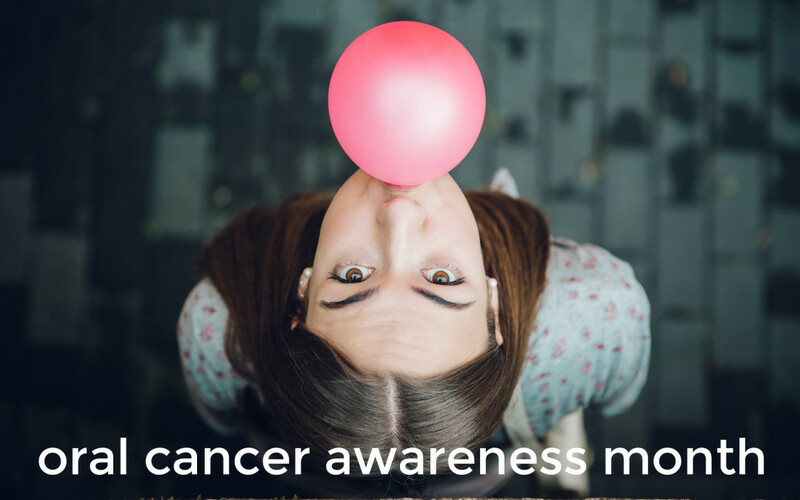 Since many oral cancer patients have had their mouths reconstructed, teeth removed, or pieces of their tongue removed, they simply cannot ever chew gum again, or blow a bubble. Join us in blowing a bubble for a cause! Step 1: Post a video or photo to social media of you blowing a bubble for those who can’t. Invite your friends and family to join you! Step 2: Share your post with us by tagging Arbutus North Dental in your photo or video. Let us know if you are blowing your bubble for a friend or loved one. Step 3: Challenge at least 3 of your friends and family members to join in on the challenge and blow a bubble for a cause! Step 4: Schedule an appointment for an oral cancer screening with Arbutus North Dental. Your dental professionals are able to detect early signs of oral cancer and provide you with knowledge about what increases risk of oral cancer. Step 5: Donate to The Oral Cancer Cause Inc. This organization’s purpose is to improve the quality of life for oral cancer patients through financial support. Visit their website to make a donation. Call us today at 604-738-2259 to schedule your oral cancer screening appointment! We look forward to seeing your Bubble Challenge photos.